One Team. Everything You Need to Achieve Your College Admissions Goals. North to My Future is your free, individualized college admissions strategy session. We'll show you how your GPA, test scores, and overall profile compare with the norms for the colleges you're interested in, then we'll discuss your action plan between now and when it's time to apply. Maximize your competitiveness by working with our certificated college counselor. With a premium college admissions consulting plan, get professional guidance on identifying colleges of best fit and completing your applications, including essay/personal statement planning, interview prep, and financial aid/scholarship maximization. Is your goal to get recruited to play college sports? 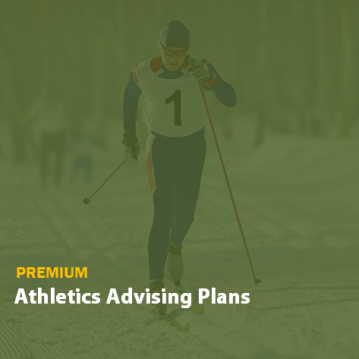 With a premium athletics advising plan, you'll receive a detailed overview of the athletic recruitment process, a custom target list of colleges matching your academic and athletic interests, and professional guidance on creating your player profile, letter of interest, highlight video, and more. Use our free Testing & College Admissions Resource Library to learn everything you need to know about SAT/ACT testing and the entire college admissions process—all from Alaska's college admissions experts.